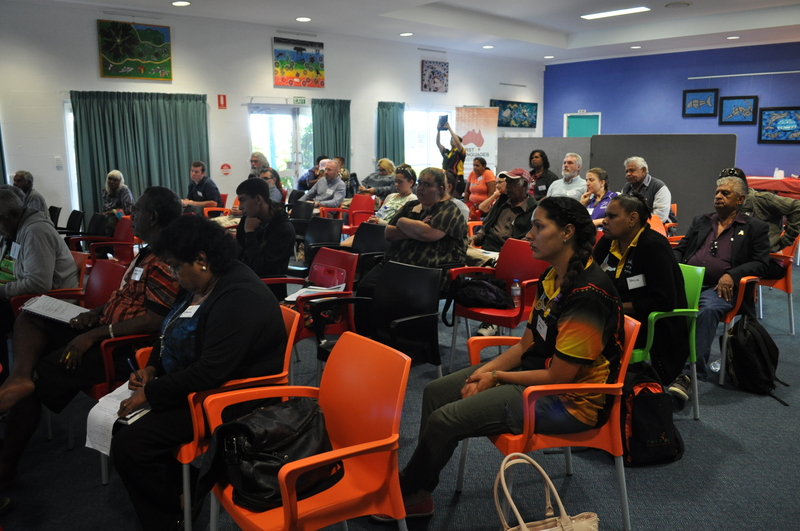 Guali bula ŋina was a fantastic event coordinated collaboratively with the Central Queensland Languages Centre. 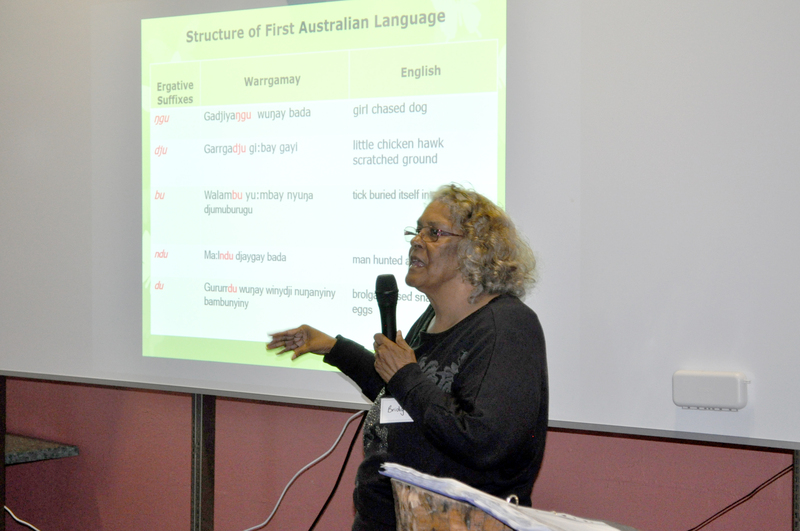 The event brought together language workers from 16 different language groups around Queensland with a focus on Central Queensland. The program included a diverse array of presentations and practical workshops. Click here to download the program. 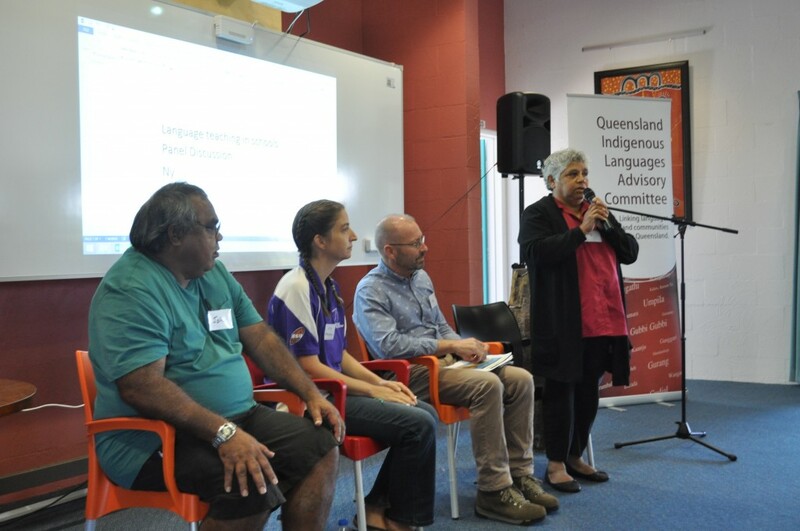 Forum highlights were the Indigenous education panel discussion, Yamani song sharing, and the Grammar workshop. On the day prior to the forum an historic day-long grammar workshop was run by QILAC members and linguists Bridget Priman and Melinda Holden. Every Indigenous attendee at the meeting registered for this workshop. The workshop was very well received with community members enthusiastically engaged the entire day in what was expected to be rather dry content. People left itching to practice, experiment and use their grammar. The forum was a great opportunity to work with the local media. ABC Wide Bay participated by attending and recording Station IDs with attendees, and also preparing 3 language stories for radio broadcast. The ABC also interviewed the organisers, Bridget Priman (QILAC), Melinda Holden (First Languages Australia), Annalee Pope (Central Queensland Languages Centre) and Kerry Blackman (Gidajil), and ran a story prior to the event. ABC Open participated by running a film making workshop helping people contribute stories to the Mother Tongue Project. 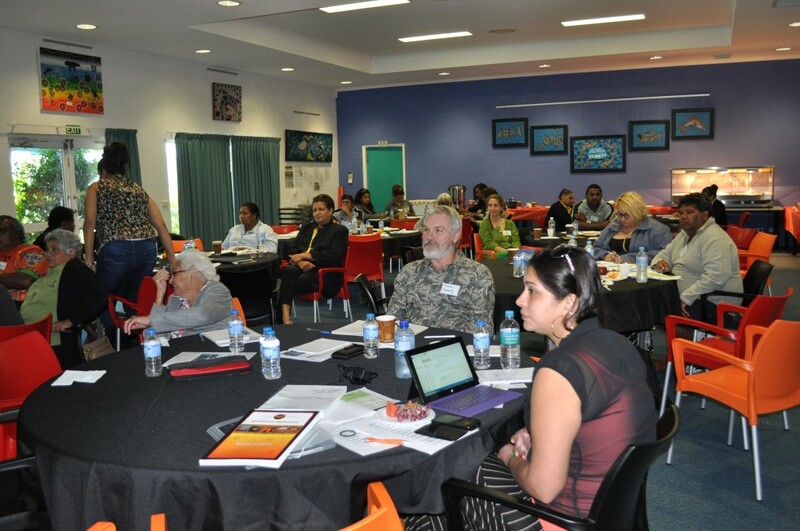 Building on the success of Guali bula ŋina (Bundaberg, 2015) and Ngirrma Puwal Pukang (Cairns, 2014) a 2016 State Languages Meeting is being organised in collaboration with the Yugambeh Museum, Language and Heritage Research Centre. The Yugambeh Museum have proposed to hold the meeting on the Gold Coast in conjunction with Yugambeh Mobo.